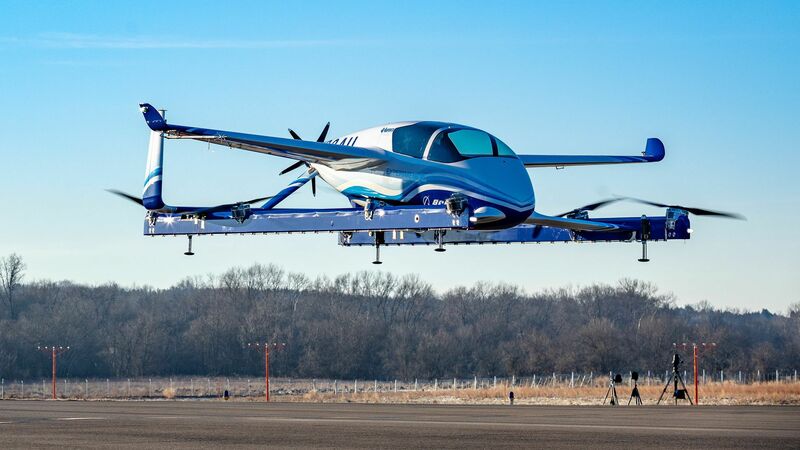 Imagine a helicopter and a small propeller plane had a baby: That's what Boeing's new autonomous "passenger air vehicle" — apparently they can't settle on a name either — looks like. Details: The plane-copter-thing is electric and can fly on its own for 50 miles — including vertical takeoff and landing, Boeing says. It flew for the first time yesterday. Several companies, including Uber, are working on autonomous flying for short in-city hops. Air travel has its own challenges, but in one way, it's easier than autonomous driving: There are far fewer obstacles. What's next: Boeing's urban mobility division is also working on a version to carry 500 pounds of cargo, which it says it will test outdoors this year.